The display screen on digital cameras is often used in the same way as paper photographs were before digital cameras; to share pictures. The problem with this is that the screen is smaller than a printed photograph, making the photos harder to see. Sharing photos this way has become a cheapened, throwaway interaction. 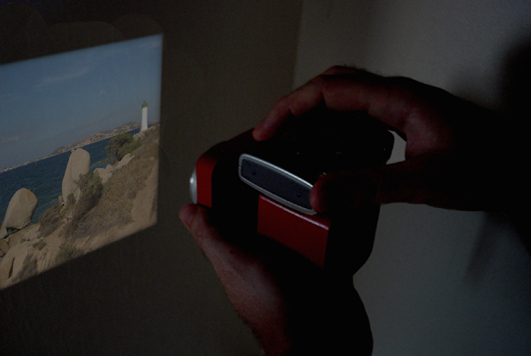 The photo-sharing projector aims to restore photo-sharing and give it back a sense of event. 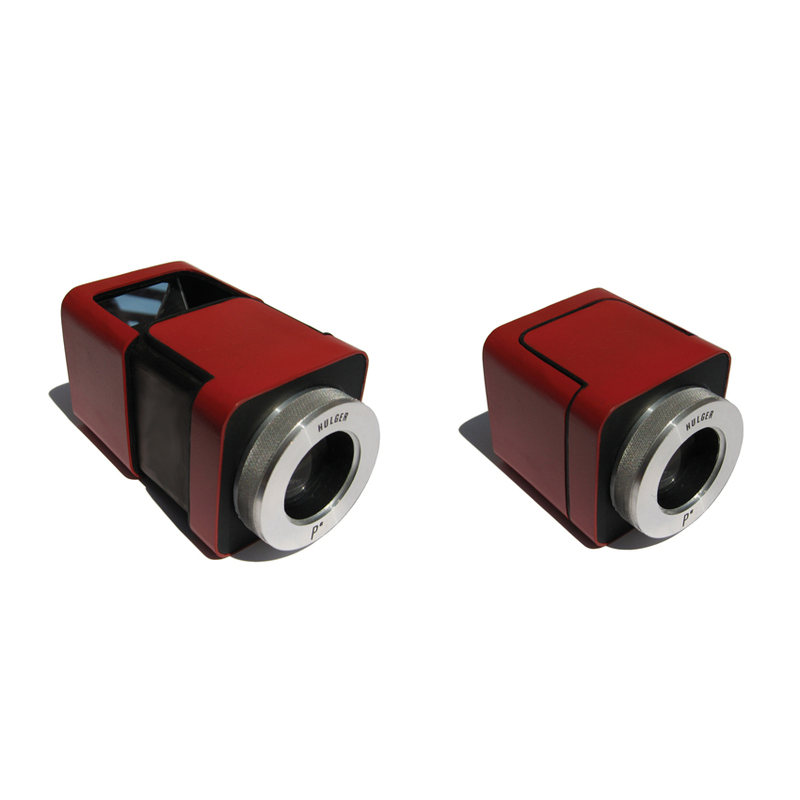 It projects an enlarged reflection of a digital camera's display screen on to any flat surface. The illumination comes entirely from the camera screen, so there is no need for light bulbs, fans, electricity or any of the other things that usually make projectors large. 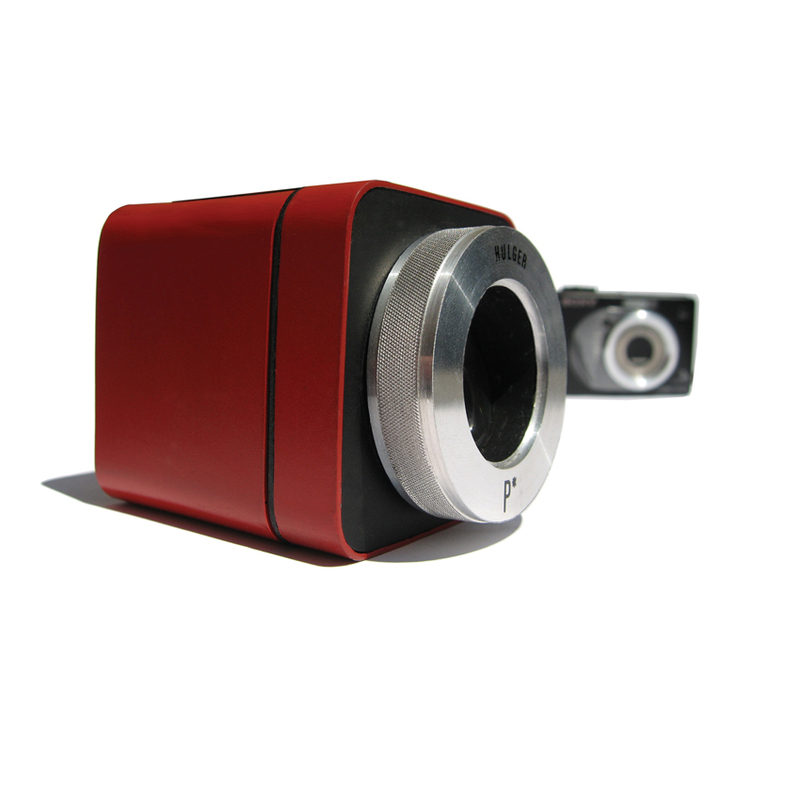 This means the projector's size can be kept down to a 65 x65mm cube.